Tripp Lites P043-002 allows a simple transition from a L5-30R wall outlet to a L5-20R outlet. No need to call in an electrician to change the outlet and breaker, simply plug in the L5-30P plug and convert to L5-20R outlet with a built-in 20AMP breaker. 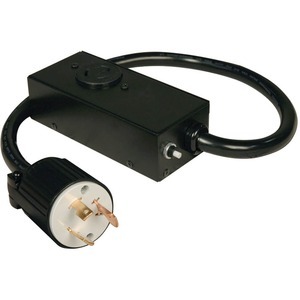 Heavy-duty metal box, 3 x 10AWG and UL-rated.